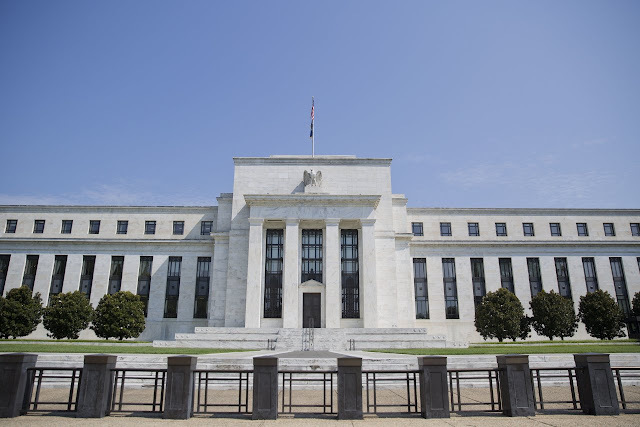 Clear guidance about future policy has become a powerful tool for the world’s central banks. It has delivered lower market volatility, and kept financial conditions easy. But that may simply be at the cost of deferring market disruption for another day. One startling way to see this is to look at expectations of short-dated interest rates in the future, such as rates derived from the swap market. These should represent an attempt to look beyond the current conditions that have caused bonds to stick in narrow ranges and the yield curve to flatten: skepticism about growth today and the ability of central banks to generate meaningful inflation. 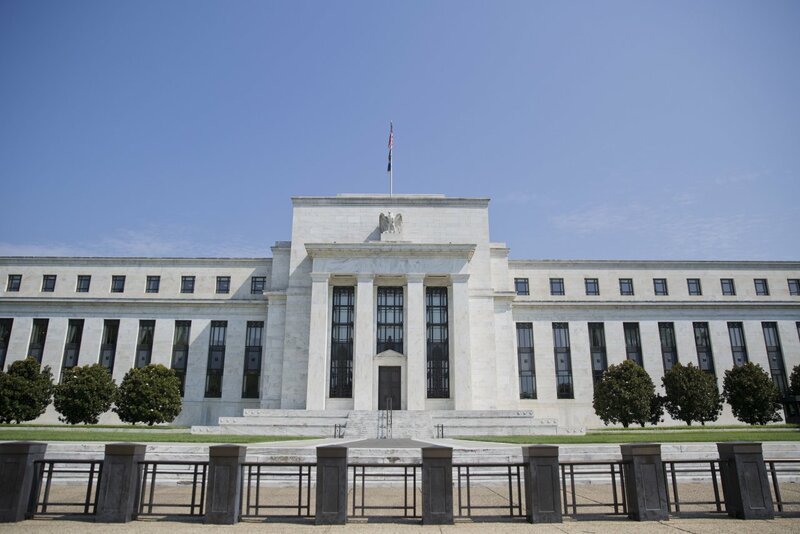 Expected future U.S. interest rates on this measure have converged to a narrow range between 2.5% and 3%, data from Société Générale ’s foreign-exchange strategists shows. That’s another sign investors see little chance the U.S. will depart from the gentle, limited path of interest-rate rises it has set out on, perhaps in response to rising inflation. An explanation for the clustering of future rate expectations is the power of central bank guidance. Ever since the Fed sparked the so-called taper tantrum of 2013, central bankers have been at pains to avoid surprising markets. 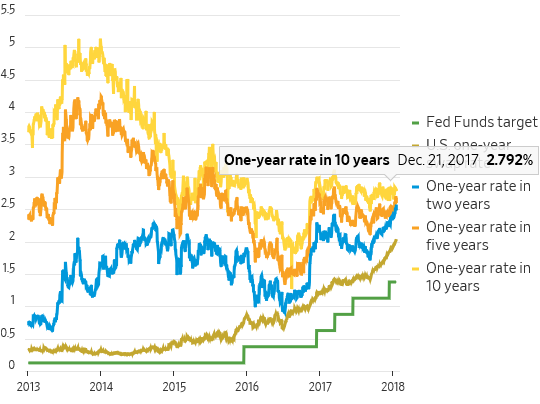 As the taper tantrum hit, for instance, the one-year rate in 10 years’ time rose to over 5%, even with the Fed-funds rate still close to zero; it was around 3 percentage points higher than the one-year rate in two years’ time. One means of achieving that calm has been to signal clearly what the likely path of policy is: in the Fed’s case, the famed dot plot suggests rates will rise only gradually and rest in the longer run around 2.8%, far below previous interest-rate peaks. That has been accompanied by plenty of rhetoric from central bankers suggesting that the underlying equilibrium interest rate has declined too. The problem comes if either the market or the Fed decides that this picture of the future is no longer valid. Given how close together expectations of various points in the future have grown, a repricing could be sharp and disruptive. The same risk perhaps applies even more to other central banks where guidance about future actions has become a key part of the message, but where policy settings remain ultraloose, like the European Central Bank. So far communication about the direction of policy has been smooth, but it may not stay that way. The early days of 2018 are already hinting at a bumpier ride for bonds as global growth remains robust. A debate is getting under way about how and when the ECB might begin to shift its guidance on policy; nerves about the same issue in Japan have also emerged. Chinese monetary policy is another wild card to watch. The starting gun for a bigger move in fixed-income markets hasn’t gone off. But investors should worry when the trigger gets pulled. It is high noon in the saloon of the Jackson Hole burger bar in midtown Manhattan and I am butting heads with Ray Dalio, head of the world’s largest hedge fund. A few minutes earlier, the famed financier had turned up for lunch, trailing a spokesman who asked to join our meal and “check” any quotes. “No!” I tell Dalio. He cuts a discreet figure in slacks and an expensive-looking cardigan but his stance is confident and forceful, as you might expect from a “master of the universe”. I know perfectly well that quote-checking is normal in New York, I explain. After all, an entire communications industry exists to protect billionaires from verbal slips. But there are three golden rules at Lunch with the FT: the FT pays, no PRs and no quote-checking. I play my trump card. Dalio has just written a book that exhorts executives to embrace “radical transparency” and “tough love” honesty. The hedge fund titan is so evangelical about this that his employees apparently rate each other with iPads in meetings with public scores, like a reality television show — and even junior trainees are encouraged to challenge the boss. So surely Dalio can handle sitting with a journalist, unchaperoned, for an hour? If it makes him feel better, I joke, he can rate me on an iPad, and announce the results. Until recently, he seemed the last person willingly to eat a burger with a journalist. That was not because he had anything to hide. On the contrary, his $160bn hedge fund, Bridgewater, has long been one of the most successful of its kind: for the past two decades it has earned mostly double-digit average investment returns, helping to birth a new investment strategy known as “risk parity”. This essentially chooses which securities to purchase based on the volatility of prices. More impressive still, Dalio was also one of the few hedge fund founders who sailed through the last financial crash. In 2007 he presciently announced the end of the US housing boom. In 2008 he forecast the looming collapse of banks, and the implosion of credit markets. That propelled his flagship fund, Pure Alpha, to gains of almost 10 per cent in 2008, at a time when most funds suffered searing losses. In subsequent years, Pure Alpha delivered even higher returns, cementing his reputation. But in spite of that success, or perhaps because of it, Bridgewater has been opaque to outsiders, and Dalio disdains the press. He was particularly angry when The New York Times reported two years ago that some employees had filed legal suits alleging the fund’s culture was abusive and intrusive. “Anybody who doesn’t think that accuracy is a problem in the media is blind,” he tells me. Now, however, he has changed tack: by publishing Principles: Life & Work, he says he hopes to show that the critics are wrong. “There was a lot of controversy about our culture. I am 68 and this is my transition year,” he says. Dalio grew up “in a middle-class Long Island neighbourhood, the only son of a professional jazz musician”. An indifferent, rebellious student, he started working as a golf caddie when he was 12 and overheard the golfers talking about the markets. He bought his first stock, Northeast Airlines*, saw it triple in value and was hooked. He subsequently found his way to Harvard Business School and joined a Wall Street broker, but was fired after he scrapped with his boss. So in 1975, aged 26, from his two-bed apartment he created Bridgewater, a hedge fund — one of the then newish financial vehicles that placed leveraged bets on the markets, aiming for fat returns. Unlike some rivals, Dalio’s fund did not focus on stockpicking; instead he tried to spot “macro” trends in the global economy and finance that might affect, say, the price of gold or Japanese bonds. Initially he was very successful. But in 1982 he wrongly forecast that the American economy was heading for a depression and his fund almost imploded from the losses. From this he concluded he was “an arrogant jerk”, he writes in his book, leading to a wave of soul-searching and from there his “principles”. Their gist is that executives need to embrace their worst failures, study them, give each other honest feedback — or tough love — about their character and skills, and aggressively debate their views with “radical transparency”. Employees not only rank each other on iPads, but also record all their interactions. “It’s not for everyone,” he concedes. Quite so: a quarter of Bridgewater employees find it so hard to fit into this culture that they leave in their first year. Although most hedge funds try to keep a tight control on their staff, the surveillance in Bridgewater seems extreme. But Dalio claims the survivors love the rigour. “What I have developed a knee-jerk affinity for is mistakes and failures . . . I learn more from them than I learn from success,” he says. His book, a New York Times best-seller, is decorated with endorsements from corporate titans including Bill Gates praising his “invaluable guidance and insights”. “To be successful in the markets you have to be an independent thinker because the consensus is in the price, and if you’re betting against the consensus, there is a high probability that you are wrong. So the ability to have a group of independent thinkers who will argue with each other is critical,” he says. A waiter arrives. Dalio pauses to order a medium rare burger with mushrooms, fried onions and fries. I choose a Mexican burger and try to replace the potatoes with lettuce. It is impossible. “Beer?” I ask. Dalio brushes the idea aside; his wiry frame and sparkling grey-blue eyes exude an aura of disciplined health. So what does Bridgewater expect in 2018? Is Dalio predicting another big 2008-style crash? The answer is complex. Right now, Dalio thinks that conditions in the global economy look pretty sunny, and this is likely to keep supporting equity prices for a while, particularly if investors take their cash hoards and invest them in the markets this year. But he fears that as economic growth keeps accelerating, central banks will find it tough to raise rates without sparking a recession in a couple of years time; the really big economic challenges lie ahead. What’s more, Dalio does not actually think that his relatively upbeat vision of “the economy” is what investors should focus on now. Before the last credit crisis, when Dalio was making his prescient calls, he used models of financial flows, debt and growth to predict where markets were heading. Indeed, he was so proud of these models that he later produced a chirpy cartoon with stick figures that likened the economy and financial system to a machine. But Dalio recently decided it is meaningless to talk about “the economy”, or trade on this overall “machine”. This stems from an issue that billionaires usually prefer to avoid talking about: rising income inequality. More specifically, Dalio thinks inequality is rising so fast that it has created multiple “economies”: although the elite live in an expanding economy, “for the bottom 60 per cent, 80 per cent, there is a depressed economy that is not growing well”. This means we need to think how we talk about “economics”, he says. America needs a “national commission to rethink our economic metrics”. But this vision has also changed how he models the future: he thinks this inequality is creating so much strife that it will be political conflict — not economics — that drives markets in 2018 and beyond. “[These days] there’s not the same volatility of inflation, growth and interest rates. I tell him I wholeheartedly agree, but point out that this creates a practical challenge. Dalio loves to use computer models to predict financial flows and make trades, and pours enormous resources into harnessing the cutting edge of digital technologies, including AI. But how can anyone predict populism or revolution with an equation? This number-crunching produces some alarming conclusions. Last year, Dalio’s geeks calculated that the proportion of the vote captured by populist candidates had risen from about 7 per cent in 2010 to 35 per cent in 2017. This swing has apparently only ever happened once before, in the 1930s, just before the second world war. Not even a bolthole in Jackson Hole? Dalio shakes his head even though he has snowboarded there. In any case, it seems that his deepest passion — when not at work — is exploring the ocean. He recently tried ice diving in the Antarctic, and was thrilled to see leopard seals. I suggest this is because it is an escape from his obsessively measured life; nobody can judge a penguin on an iceflow with an iPad. He laughs. “Meditation has the same effect.” He has done transcendental meditation twice a day since 1969, and encourages Bridgewater employees to embrace it. Our burgers arrive: unpretentious patties and crisp fries. We dip the golden sticks in ketchup; they are hot and delicious. Then we both grab the burgers with our hands. The patties are so freshly homemade that the meat crumbles out of the bun, tumbling on to the plates in an ungainly mess. I lick my fingers as if I were six years old. So what would he do if he were president? Does he want to see redistribution of wealth from the rich to the poor? Should billionaires pay more tax? He dodges the question, and says instead he wants to see more “social impact investing” and “bring in private sector investors who are philanthropists to partner with public initiatives”. It is standard elite chatter. So how is Trump performing? He sighs and admits that he does not want to say anything negative. However, his views have oscillated. Before the 2016 election, Dalio predicted that equity prices would plunge 10 per cent if Trump prevailed. “I didn’t expect him to win,” he admits. But when Trump took office Dalio suggested that his programme of tax cuts and deregulation would be beneficial for the economy. “He’s a lot less reckless than I originally thought he would be,” Dalio says. But he does not like the balance of tax cuts, enshrined in the recent bill, fearing like most economists that this will increase income inequality and social fractures. Dalio has pushed his vast burger aside, half eaten. He refuses a dessert, opting instead for coffee. What lies next for you, I ask? It is a sensitive issue. Almost a decade ago Dalio tried to create a succession plan. However, this has unravelled several times. “We went through a difficult succession evolution. I thought it would take three years or so, but I was wrong, it took us eight,” he admits. “But learning comes from making painful mistakes and then reflecting.” Eventually, Dalio took outside advice: Jim Collins, author of the fabled management book Good to Great is a favoured mentor. He has stepped down as chief executive, but remains chairman and chief investment officer. Some rivals think the turmoil might continue. Jim Grant, the veteran analyst, was deeply critical of Bridgewater in a recent research note, suggesting its performance is deteriorating, partly because shifts in the interest-rate environment make the fabled “risk parity” structure less effective. Dalio vehemently rejects this. “Jim Grant doesn’t have a clue. I like him as a thinker but this [report] was bad — he had to retract almost everything.” However, the fact Dalio is on a book tour has reminded some investors of the long history of corporate leaders who grace magazine covers and publish books at the peak of their success but later crumble. The bill arrives: a mere $52. The angry Americans suffering in the modern global economy and who are prime candidates for rhetoric against the 1 per cent cannot pillory him for that. As we walk out of the restaurant, I regret one thing: not having asked him to bring one of his iPads to put him through his own radical transparency test. China’s most powerful leader in decades has shown he can tackle economic issues that have plagued weaker predecessors. But that much power in one pair of hands creates its own problems. Why did sentiment on China improve so much in 2017? Progress in taming long-running structural problems, such as the country’s excess manufacturing capacity and mushrooming off-balance sheet debt, deservedly caught investors’ attention. The driving force behind that progress was the same factor that should now give investors pause: The primacy of Xi Jinping. Mr. Xi’s five-year campaign to consolidate power has left him in firm control of China’s fractious bureaucracy. He has started to do what his predecessors couldn’t, bringing slippery local officials and state-owned banks and firms to heel. 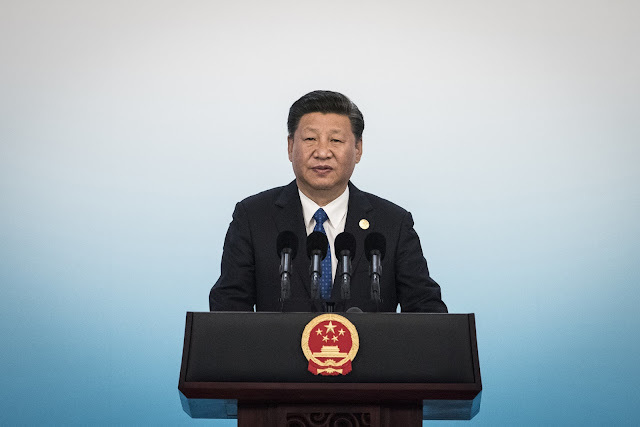 But his success entails a sea-change in how to view China: The biggest risk may no longer be a weak Beijing, but a strong Xi administration which local officials are terrified to defy. That brings up ghosts of a darker time. Back in the late 1950s, millions of Chinese died of starvation because no one was brave enough to tell Chairman Mao his economic program had caused a disastrous famine. Such tragedies are far less likely in the age of cellphones and surveillance. But recent problems suggest that the economic—and political—risks of so much concentrated power are still significant. Many Chinese found themselves without heat this winter as local governments scrambled to meet pollution targets by shutting down coal power plants. Mr. Xi has made a cleaner environment a centerpiece of his agenda. But the idea that coal-dependent northern China could suddenly convert wholesale to gas for power and heat generation smacks of Maoist magical thinking. Chinese gas demand was still a paltry 6.4% of total energy consumption at the end of 2016. Coal comprised 62%. China’s national planning agency bowed to reality in mid-December, urging officials to “act based on the facts” and use coal if needed. But officials’ willingness to leave residents to freeze for so long rather than disobey orders is a worrying sign. 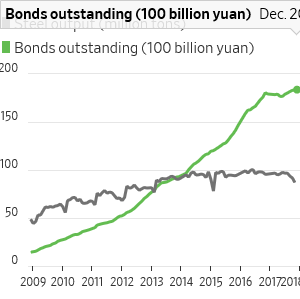 A similar dynamic unfolded last spring when Beijing’s campaign against debt stopped bond issuance in its tracks. A drumbeat of new directives resulted, as different regulators competed to show Mr. Xi they were on board with the campaign to crimp leverage. Money and bond market yields rocketed higher, only easing after massive cash injections by the central bank. Because the campaign came at a time when companies were flush with profits, wider damage to the economy and markets was averted. The next time Beijing tightens the screws so hard, it may not be as lucky. Mr. Xi has correctly identified Beijing’s weakness relative to China’s unruly local governments and banks as the source of many of the nation’s greatest problems. The risk now is that a more muscular Beijing squeezes too hard with unforeseen circumstances—and doesn’t reverse course quickly enough. Companies often encounter so-called “big-man risk,” when a successful CEO or chairman becomes too dominant. The same can happen to countries —even one as large as China.